The EUR reached $1.1620 against the USD, which was the downward wave local target. 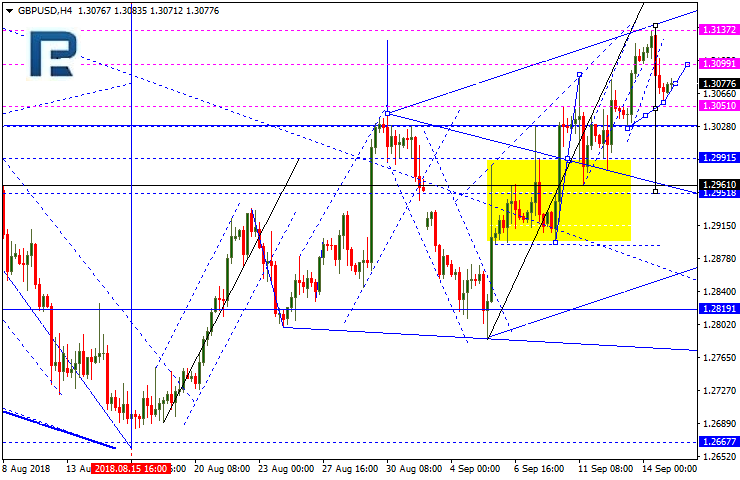 This may lead to a correction towards $1.1660, and then a fall till $1,1600, which is going to be the first target. 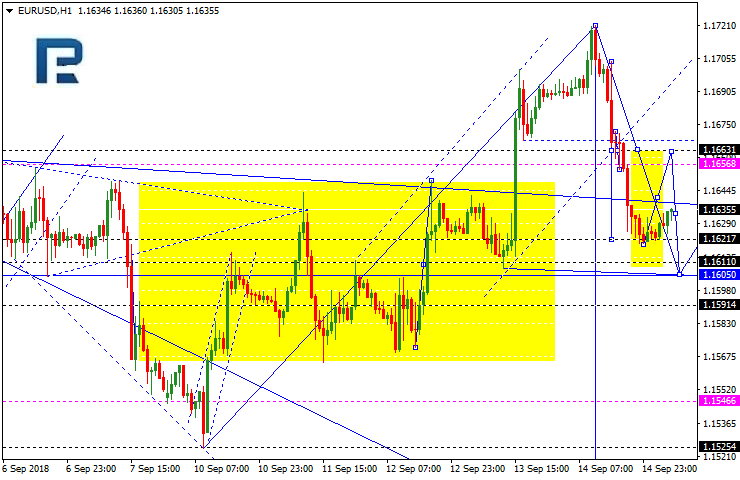 The GBP/USD has moved down, now correcting to $1.3090. The next downtrend target is at $1,2991, which is a local target. The overall potential may take the pair down to $1.2950. 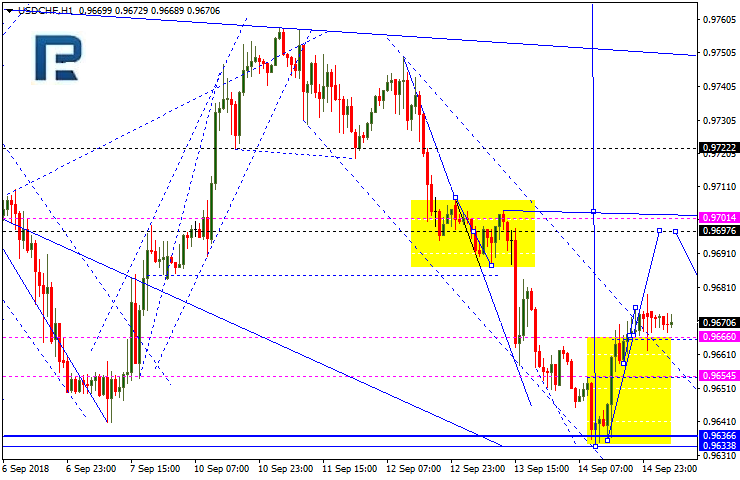 The USDCHF is consolidating around 0.9666, after which it may start going up to reach 0.9700. Then, it is likely to fall till 0.9666. 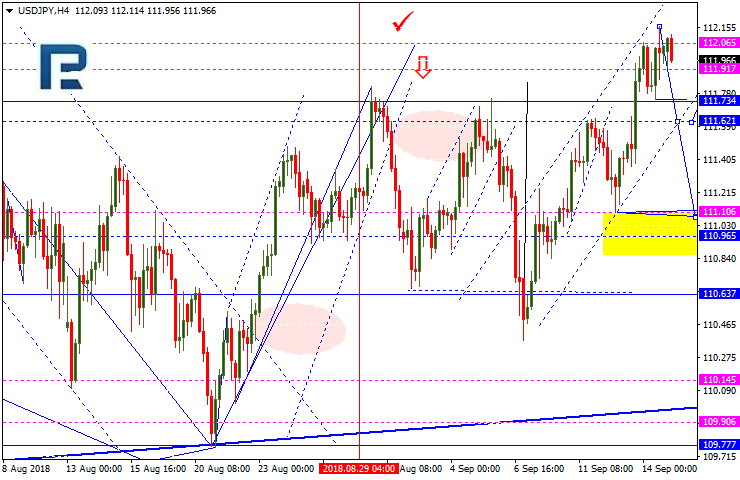 The USDJPY is consolidating after going up. 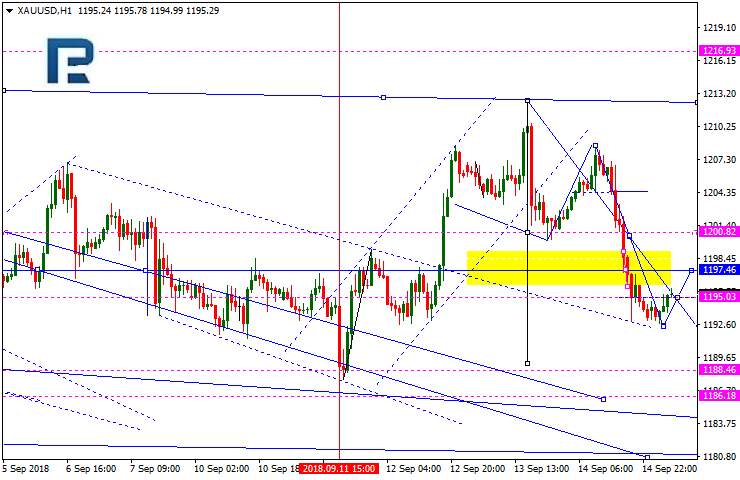 Today, the pair may break out the lower boundary to reach 111.11, but then is likely to correct to 111.61. The Aussie has broken out the consolidation range against the dollar and is probably heading down towards $0.7131, which is a local target. 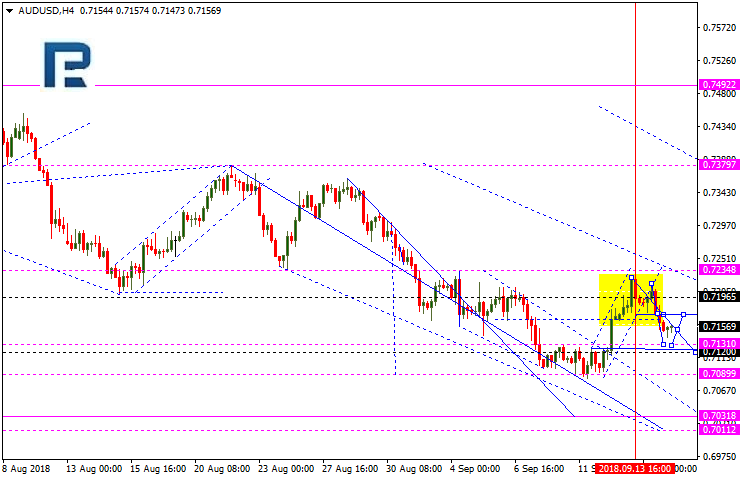 Then, a rise to 0.7177 is possible, and, after that, the pair is likely to head down again, reaching 0.7120. The USDRUB is moving down. Currently, a continuation pattern is being formed. Today, the price at 67.00 may be reached, followed with a rise to 67.95, and a fall back to $65.45. Gold has reached its local downmove target and may now start consolidating on its lows. If the price goes up, the correction towards 1200.80 may follow, while a converse breakout will push the price down to 1188.50. 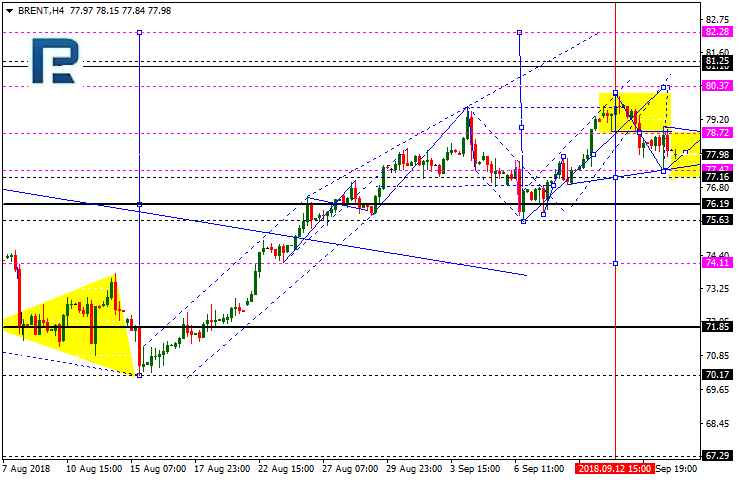 Brent crude reached its downtrend target and is trying to recover. Today, it may start consolidating on its lows. 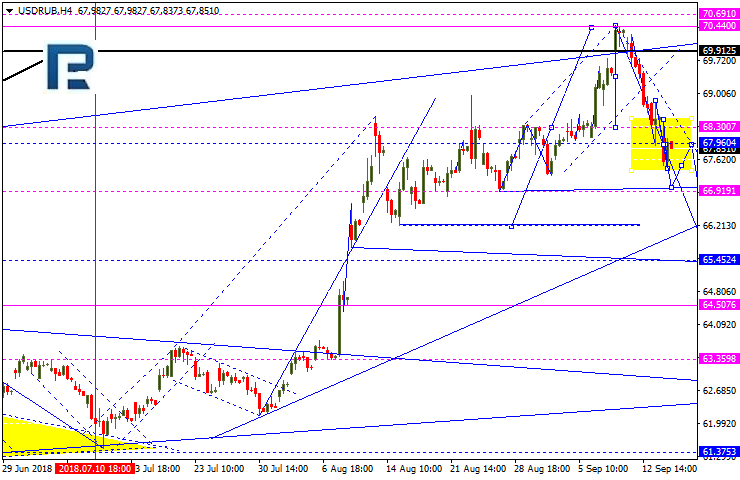 If the price goes up, it may reach 80.40; conversely, the trend may continue, with the price going to 75.50.